WELCOME TO INFINITY! We are so excited for you to start dancing with us! If you have any questions, feel free to contact us. We are here to help! In consideration of my minor child/myself being permitted to attend/participate in an Infinity Dance Academy class, or associated activity (rehearsals, recitals, etc. ), I, the undersigned parent/legal guardian/particiant, for myself, my minor child, our personal representatives, other parents/ legal guardians of the minor child, our assigns, our heirs, and our next of kin: hereby release, waive, discharge, hold harmless, otherwise indemnify, and covenant not to sue, Infinity Dance Academy, its owners, its employees, its directors, its managers, its assignees, its instructors, its volunteers, and/or its contractors, from any and all liability for all harm, injury, illness, death, loss or damage, and any claim of damage therefor, on account of any harm to the person or property of myself or my minor child, whether caused by the negligence of Infinity Dance Academy, its owners, its employees, its directors, its managers, its assignees, its instructors, its volunteers, and/or its contractors, or otherwise, to the full extent permitted by Oklahoma law, arising from the minor child/myself attending or participating in any Infinity Dance Academy class, or associated activity (rehearsals, recitals, etc. ), or upon the Infinity Dance Academy premises. I, parent/legal guardian/participant, hereby assume full responsibility for and risk of harm, injury, illness, death, or property damage, of myself or my minor child, due to negligence, or otherwise, to the full extent permitted by Oklahoma law, of Infinity Dance Academy, its owners, its employees, its directors, its managers, its assignees, its instructors, its volunteers, and/or its contractors arising from the minor child/myself attending or participating in any Infinity Dance Academy class, or associated activity (rehearsals, recitals, etc. ), or upon the Infinity Dance Academy premises. 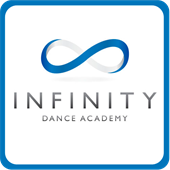 I, parent/legal guardian/participant, acknowledge that the services offered by Infinity Dance Academy are strictly limited to dance instruction during the period of the class, or associated activity (rehearsals, recitals, etc.). Supervision of children, before, during, and after the class, or associated activity (rehearsals, recitals, etc. ), is the responsibility of parent/legal guardian. Parent/legal guardian/participant hereby releases, waives, discharges, holds harmless, otherwise indemnifies, and covenants not to sue, Infinity Dance Academy, its owners, its employees, its directors, its managers, its assignees, its instructors, its volunteers, and/or its contractors, from any supervisory liability or responsibility for the minor child before, during, or after the class, or associated activity (rehearsals, recitals, etc.). Parent/legal guardian/participant hereby releases, waives, discharges, holds harmless, otherwise indemnifies, and covenants not to sue, Infinity Dance Academy, its owners, its employees, its directors, its managers, its assignees, its instructors, its volunteers, and/or its contractors, from any liability for harm to the minor child's/my person or property, whether caused by the negligence of Infinity Dance Academy, its owners, its employees, its directors, its managers, its assignees, its instructors, its volunteers, and/or its contractors, or otherwise, to the full extent permitted by Oklahoma law, including, but not limited to, harm arising from the minor child/me leaving the premises of Infinity Dance Academy, or the premises at which the Infinity Dance Academy activity is taking place, before, during, or after the class, or associated activity (rehearsals, recitals, etc.). I, parent/legal guardian/participant hereby release, waive, discharge, hold harmless, otherwise indemnify, and covenant not to sue, Infinity Dance Academy, its owners, its employees, its directors, its managers, its assignees, its instructors, its volunteers, and/or its contractors, from any liability for any harm to myself, my minor child, or the property of myself or my minor child, arising from the acts of another upon the premises of Infinity Dance Academy, or at an Infinity Dance Academy activity, whether due to negligence, or otherwise, to the full extent permitted by Oklahoma law. I, parent/legal guardian/participant, expressly agree that this waiver and indemnity agreement is intended to be as broad and inclusive as is permitted by the law of Oklahoma and that if any portion thereof is held invalid, it shall be reformed to the fullest extent permitted by Oklahoma, and in any event, it is agreed that the remainder shall, notwithstanding, continue in full legal force and effect. I, parent/legal guardian/participant, have read the above, and understand that in consideration for my minor child/me being allowed to attend/participate in the class, or associated activity (rehearsals, recitals, etc.) and/or enter the premises of Infinity Dance Academy, I am voluntarily waiving my right, and the right of my minor child, our personal representatives, other parents/ legal guardians of the minor child, our assigns, our heirs, and our next of kin, to any right of action of any nature whatsoever, either in law or equity, arising from any harm whatsoever to myself or my property, or the self or property of my minor child, arising from classes or associated activities (rehearsals, recitals, etc. ), or on the premises of Infinity Dance Academy whether due to negligence, or otherwise, of Infinity Dance Academy, its owners, its employees, its directors, its managers, its assignees, its instructors, its volunteers, and/or its contractors, to the full extent permitted by Oklahoma law. I, Parent/Legal Guardian/Participant (18 or older), have read the above, and agree. Recognizing the possibility of injury/illness, and in consideration for Infinity Dance Academy allowing my minor child to attend/participate, I, parent/legal guardian/participant, hereby voluntarily release, waive, discharge, hold harmless, otherwise indemnify, and covenant not to sue, Infinity Dance Academy, its owners, its employees, its directors, its managers, its assignees, its instructors, its volunteers, and/or its contractors, for any illness, injury, death, or harm my minor child/I suffers (1) arising from his/her/my attendance or participation in any class, or associated activity (including, but not limited to, rehearsals, recitals, etc. ), or (2) on the premises of Infinity Dance Academy, whether caused by the negligence of Infinity Dance Academy, its owners, its employees, its directors, its managers, its assignees, its instructors, its volunteers, and/or its contractors, or otherwise, to the full extent permitted by Oklahoma law. I certify that I/my minor child has no pre-existing condition(s) that would in any way affect my/his/her attendance or participation, or prevent me/him/her from consistently attending and participating in any class, or associated activity. I give my consent for my minor child/me to receive medical or dental emergency care from any certified medical professional, as needed, at the discretion of Infinity Dance Academy, its owners, its employees, its directors, its managers, its assignees, its instructors, its volunteers, and/or its contractors, and I agree to be financially responsible for all care provided to my minor child/me. I, parent/legal guardian/participant, agree that Infinity Dance Academy has the right to exercise its judgment as to whether such emergency care is needed or advisable in any given situation. I, parent/legal guardian/participant, hereby voluntarily release, waive, discharge, hold harmless, otherwise indemnify, and covenant not to sue, Infinity Dance Academy, its owners, its employees, its directors, its managers, its assignees, its instructors, its volunteers, and/or its contractors, for any such medical or dental emergency care provided, or any harm arising therefrom, whether caused by the negligence of Infinity Dance Academy, its owners, its employees, its volunteers, and/or its contractors, or otherwise, to the full extent permitted by Oklahoma law. I give my consent for my minor child/me to receive first aid care from Infinity Dance Academy, its owners, its employees, its directors, its managers, its assignees, its instructors, its volunteers, and/or its contractors, and I, parent/legal guardian/participant, voluntarily release, waive, discharge, hold harmless, otherwise indemnify, and covenant not to sue, Infinity Dance Academy, its owners, its employees, its directors, its managers, its assignees, its instructors, its volunteers, and/or its contractors, for any such first aid care provided, or any harm arising, or claimed to arise, therefrom, whether caused by the negligence of Infinity Dance Academy, its owners, its employees, its directors, its managers, its assignees, its instructors, its volunteers, and/or its contractors, or otherwise, to the full extent permitted by Oklahoma law. Parent/legal guardian/participant expressly agrees that this waiver and indemnity agreement is intended to be as broad and inclusive as is permitted by the law of Oklahoma and that if any portion thereof is held invalid, it shall be reformed to the fullest extent permitted by Oklahoma, and in any event, it is agreed that the remainder shall, notwithstanding, continue in full legal force and effect. This waiver shall be binding upon me, my minor child, our personal representatives, other parents/ legal guardians of the minor child, our assigns, our heirs, and our next of kin. Sometimes, Infinity Dance Academy will take pictures or video of a class or another Infinity Dance Academy activity, such as a rehearsal or recital, for the purposes of preserving memories, or for publicity purposes. I, parent/legal guardian/participant, hereby grant permission to Infinity Dance Academy, its owners, its employees, its directors, its managers, its assignees, its instructors, its volunteers, and/or its contractors, to photograph or record video of myself and/or my minor child at any time while I/he/she is attending or participating in any class, or associated activity (rehearsals, recitals, etc. ), or while I/he/she is on the premises of Infinity Dance Academy. I, parent/legal guardian/participant, hereby grant to Infinity Dance Academy the absolute and irrevocable right and unrestricted permission to use, display, distribute, transmit, publish, republish, copy, either in whole or part, either digitally, in print, or any other medium now or hereafter known, for any purpose, photography and videography of myself and/or my minor child, while I/he/she is attending or participating in any class, or associated activity (rehearsals, recitals, etc. ), or while I/he/she is on the premises of Infinity Dance Academy, or in which I, or my minor child may be included, and the right to alter the same without restriction, and to copyright the same without restriction. I hereby release, waive, discharge, hold harmless, otherwise indemnify, and covenant not to sue, Infinity Dance Academy, its owners, its employees, its directors, its managers, its assignees, its instructors, its volunteers, its contractors, representatives, and/or assignees, from any and all claims or demands arising out of or in connection with publicity, invasion of privacy, or defamation/slander, of myself or my minor child, whether caused by the negligence of Infinity Dance Academy, its owners, its employees, its directors, its managers, its assignees, its instructors, its volunteers, and/or its contractors, or otherwise, to the full extent permitted by Oklahoma law. Permission is granted for these photographs and videos to be used for any advertising material, present, or future, including, but not limited to, Infinity Dance Academy's website and Facebook page, even if I/my minor child is no longer a student of Infinity Dance Academy. Parent/legal guardian/participant expressly agrees that this release and indemnity agreement is intended to be as broad and inclusive as is permitted by the law of Oklahoma and that if any portion thereof is held invalid, it shall be reformed to the fullest extent permitted by Oklahoma, and in any event, it is agreed that the remainder shall, notwithstanding, continue in full legal force and effect. This release shall be binding upon me, my minor child, our personal representatives, other parents/ legal guardians of the minor child, our assigns, our heirs, and our next of kin. Tuition is due by the 1st of every month and is paid via automatic debit, unless a family chooses to opt out of that form of payment. Automatic debits are run between the 1st and the 3rd of each month. All automatically debited tuition payments for enrolled classes will be billed to the primary card on file. If a family elects to opt out of automatic payments, their tuition payments must be made in person with cash or check before the 1st of the month. Failure to pay on time (including declination of automatic debits or returned check) will result in removal from all class enrollment. To re-enroll, the tuition must be paid in full for the full month on the date of re-enrollment. If a student is dropped for failure to pay, or for any other reason, voluntary or involuntary, the student's spot will not be held. Note: if students are dropped for any reason, the single class rate ($20 per class) will apply for each class taken prior to being dropped, which may result in additional payment being due. There will be a $30.00 charge for any returned check/payment. Payments may be made in person and online. We accept cash, check, Master Card, Visa, and debit. Tuition and costume fees are Non-Refundable and Non-Transferable. Payment information provided must be updated immediately, if any change occurs. Failure to provide accurate payment information, or to keep such information updated, may result in removal from enrollment in all classes, and responsibility for any fees incurred in unsuccessful attempts to process payments. Notice of cancellation must be provided, in writing, at least 48 hours prior to the 1st of the month, or tuition will be charged in full for the month, whether the student attends the classes or not. If a student cancels a class, the student's spot in that class will not be held. If it becomes necessary to change the dates or times of a class, or to cancel a class for any reason, no tuition reimbursement or credit will be provided. If you/your child is unable to attend at the new date or time, the above, standard cancellation policy must be followed. We cannot guarantee that another date or time suitable for your needs will be available, but we will try to work with our dancers and their parents if a class is moved or cancelled. We reserve the right to bar a student from attending class for any period of time, including permanently, for disruptive behavior, non-participation, or any other behavior for which we deem such action necessary. If a student is barred from attending class for any reason, tuition already paid will not be reimbursed or credited. If a student is barred from attending class for any reason on a long term basis (more than one month), the student's spot will not be held. If a student is barred from attending class for any reason and the date on which the student is allowed to resume attending classes is other than the 1st of the month, the single class rate ($20 per class) will apply for any classes taken in that month and tuition for the amount of the classes remaining in the month must be paid in full before the student may resume attending classes. We reserve the right to bar any parent, or supervising adult, from entering the premises, or to ask any parent, or supervising adult, to leave the premises, for disruptive or inappropriate behavior, or any other reason for which we deem such action necessary, for whatever amount of time we deem necessary, including permanently. A student may still attend class without the barred parent (or supervising adult), or with a different parent (or supervising adult), if a parent (or supervising adult) has been barred from the premises. However, it is required for all students 5 years of age and under to have a parent or supervising adult present for the complete duration of the class they are attending, and it is recommended that all students have a supervising adult present for the complete duration of the class they are attending. If a parent or supervising adult is barred from the premises for any reason, tuition already paid will not be reimbursed or credited, whether the student continues to attend classes or not. We assume no duty or responsibility to monitor student dancers to determine if they are injured or ill. However if a dancer informs us that the dancer is injured or ill, or appears to us to be injured or ill, whether during or outside of class, we reserve the right to bar a student from attending classes for any period of time. We also reserve the right to require a doctor's note clearing a student for attendance or participation. If a student is barred from attending or participating in class for this reason, tuition already paid will not be reimbursed or credited. If a student is barred from attending class for injury or illness for more than one month, the student's spot will not be held. If a student is barred from attending class for injury or illness and the date on which the student is allowed to resume attending classes is other than the 1st of the month, tuition for the amount of the full month, or at the single class rate ($20 per class) for all of the remaining classes in the month, whichever is less, must be paid in full before the student may resume attending classes. Late policy: Dancers warm-up and stretch to get their muscles to get ready for movement. The warm-up and stretching occurs during the beginning part of the class. If dancers are more than 15 late, they will miss this warm-up and stretching period and therefore for their safety, they will not be able to participate in the class. No tuition reimbursement or credit will be provided for any class missed due to lateness, regardless of the reason for lateness. Monthly tuition will NOT be adjusted, reimbursed, or credited, for holiday closures, severe weather closures, student absences, etc. My typed name below constitutes my signature, and legally binds me to the same extent as if I had physically signed this document.